Comment: They are french doors that are exterior/interior. Comment: Updating the house. 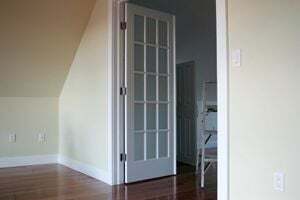 Replacing 5 interior doors with white panel doors. Comment: Existing entrance door in need of some cosmetic fixes (changing locks, glass, removing the storm door, fixing rotting part of the frame). Edgewater Door Services are rated 4.56 out of 5 based on 3,413 reviews of 30 pros. Not Looking for Doors Contractors in Edgewater, MD?